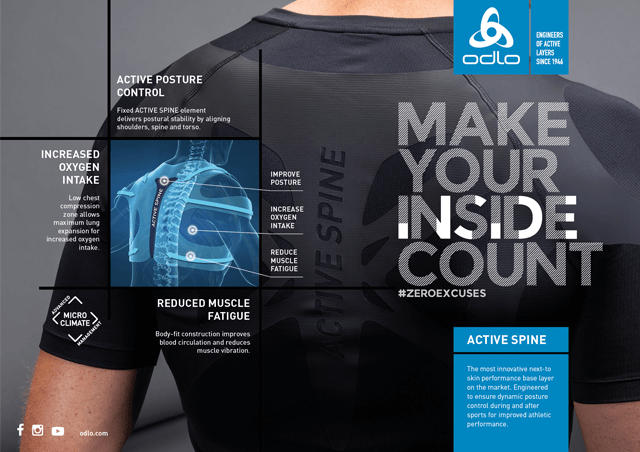 By creating highly innovative products our goal is to be the brand of choice for active individuals. 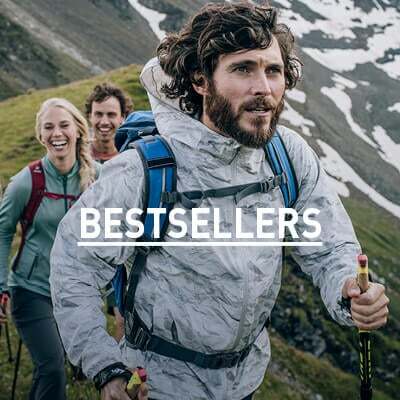 We are driven by passion to provide the best gear and apparel for their sports and training, whatever the conditions.We strive to stay one step ahead by creating products that anticipate the future needs of our consumers. 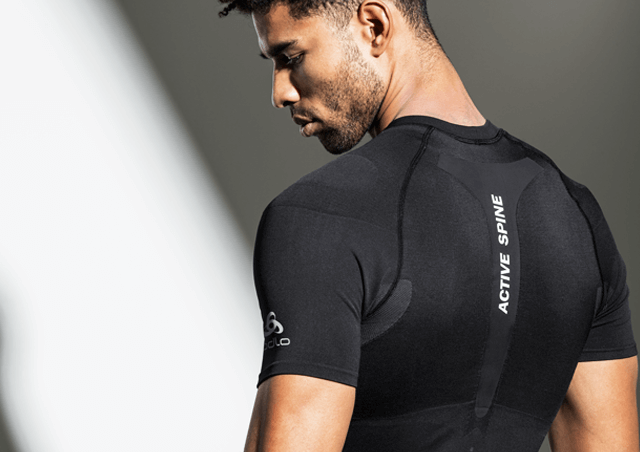 In doing so, the right gear is readily available when it’s needed most. Maximum quality, efficiency and constant innovation is what inspires us to deliver outstanding products every time. Those values do not just apply to the end result, but the whole ODLO operation. From conception to store, efficiency is our watchword. 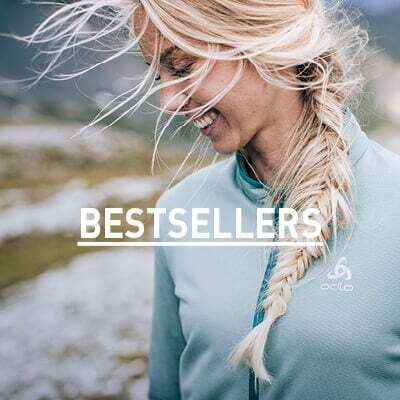 ODLO - passionate about outdoor sports the whole year round and dedicated to producing the highest quality sportswear possible for people who want to get the most out of their activities, aswell as look and feel great. 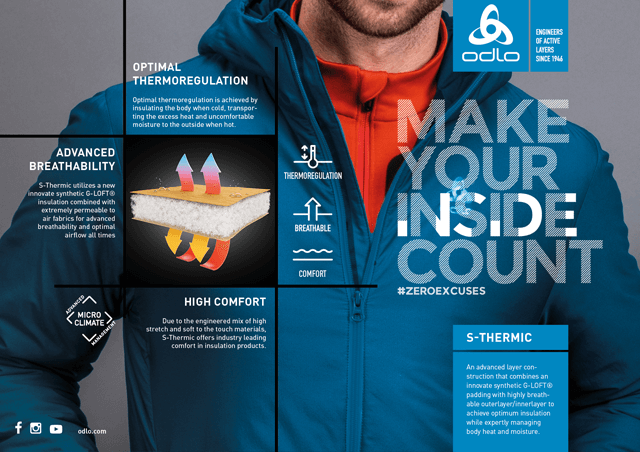 engineering and design insight delivers advanced climate control and natural freedom of movment for your various sports activities. designed to make you feel and look cool. 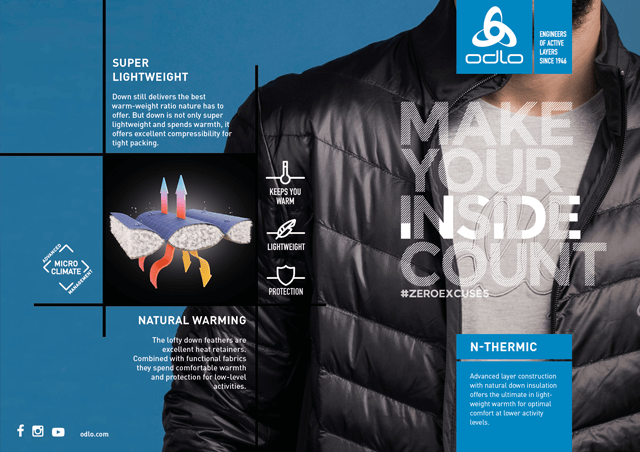 The engineered blending of yak wool and premium polyester fibers deliver an amazing next to skin natural feel and soft touch. and after sports for improved athletic performance. 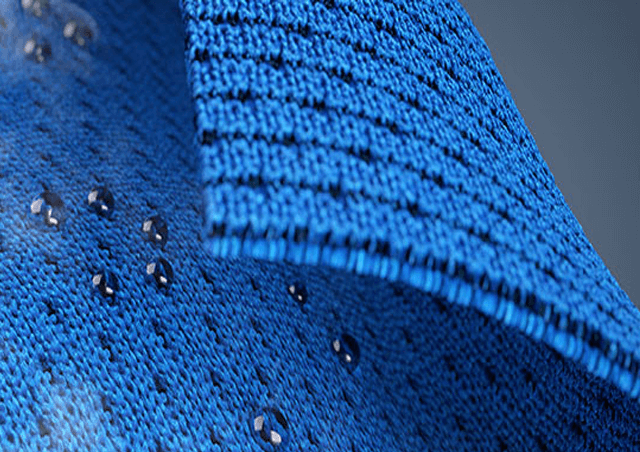 Water repellent and moisture wicking technology. 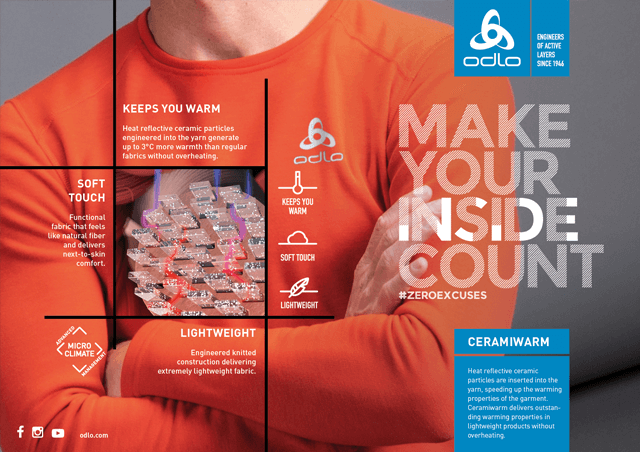 The fastest drying ODLO ever made. 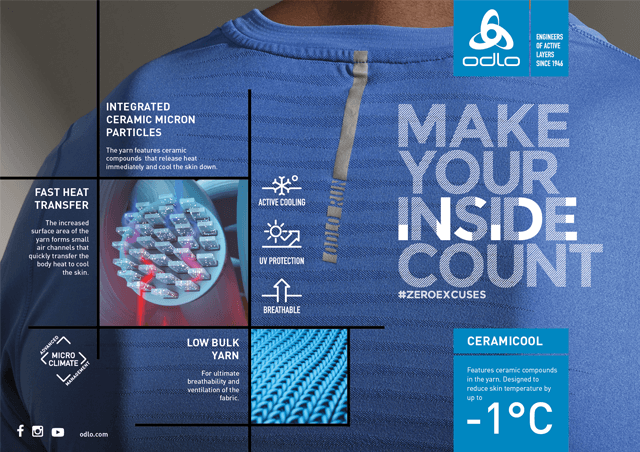 Designed for maximum comfort 365 days a year. 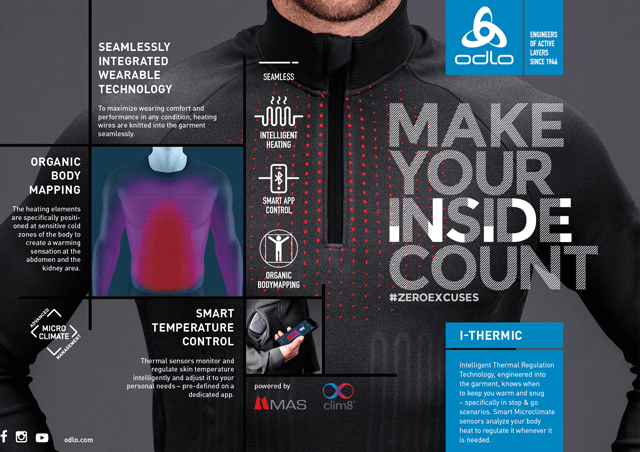 Seamlessly integrated wearable technology, Organic body mapping and smart temperature control - this is ODLO THERMIC! specifically in stop & go scenarios. 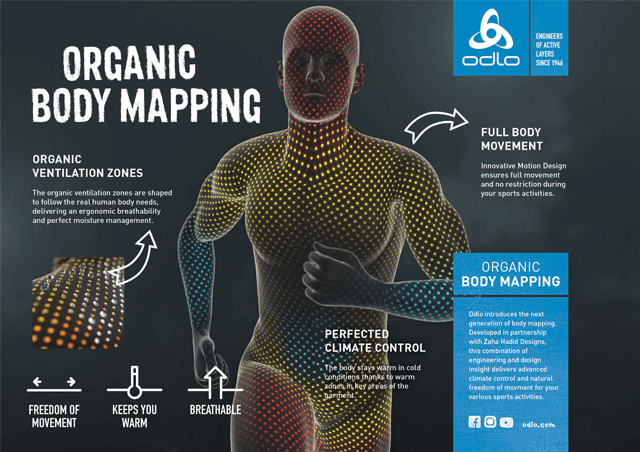 Smart Microclimate sensors analyze your body heat to regulate it whenever it is needed.